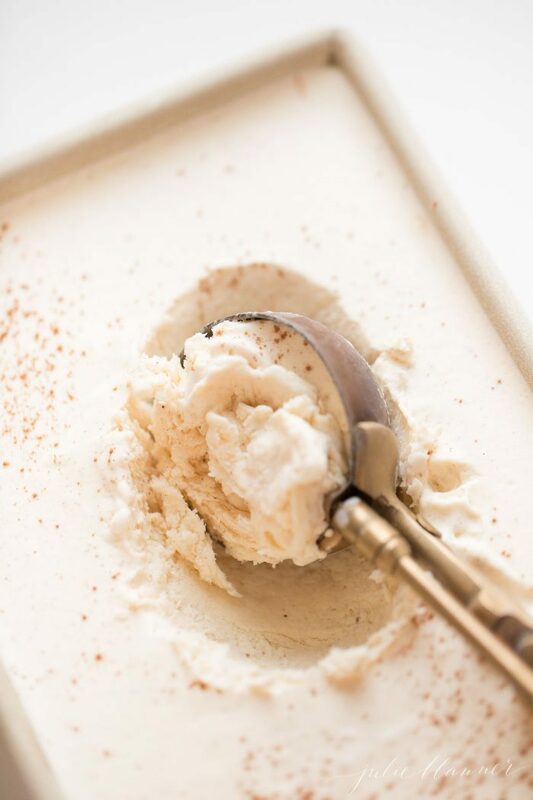 Enjoy the flavors of the season with creamy Egg Nog Ice Cream – a fun and festive Christmas dessert made with just 6 ingredients in 5 minutes! Calling all egg nog fans – this is the treat for you! 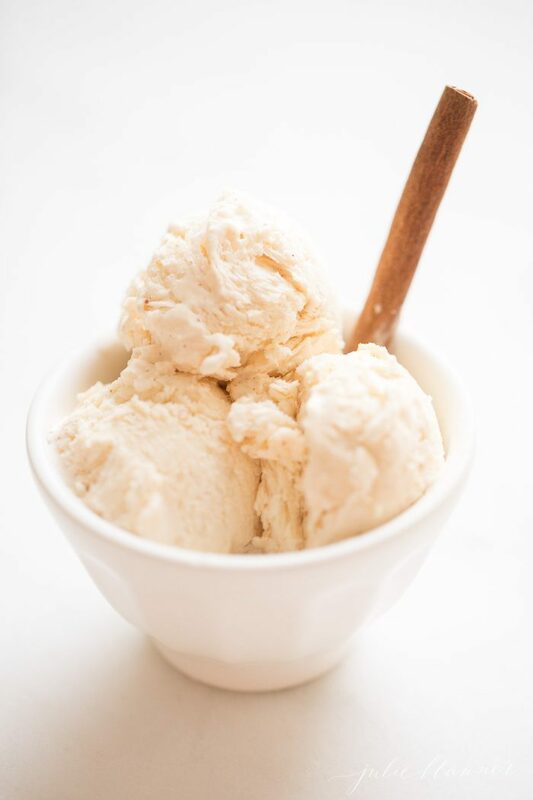 Now you can have thick, creamy egg nog in ice cream form! 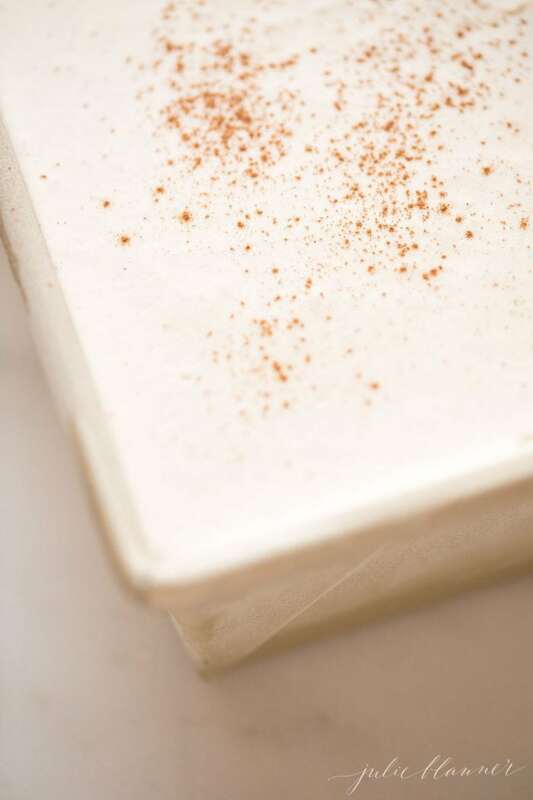 Egg Nog Ice Cream is incredible on it’s own, but elevates cakes, cookies and pies, too! I know, I know, you can purchase Egg Nog Ice Cream in stores, but let’s be honest, they’re not that creamy or flavorful. 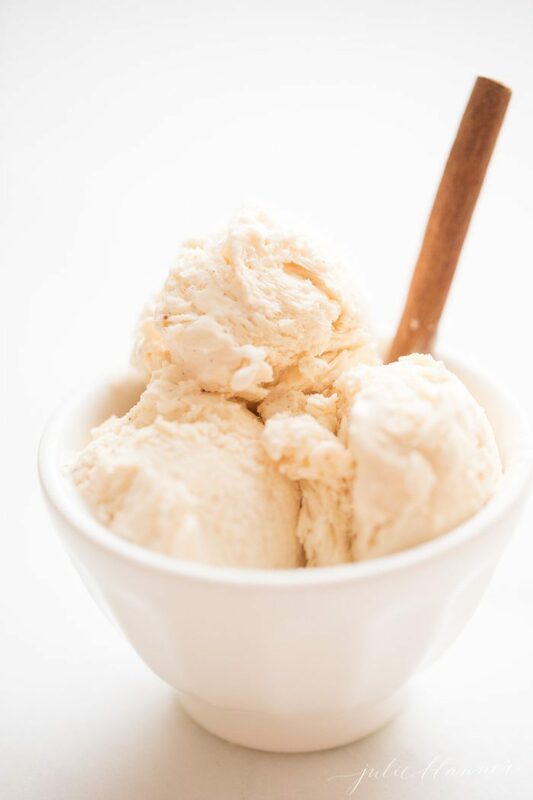 Nothing compares to this easy Eggnog Ice Cream recipe! 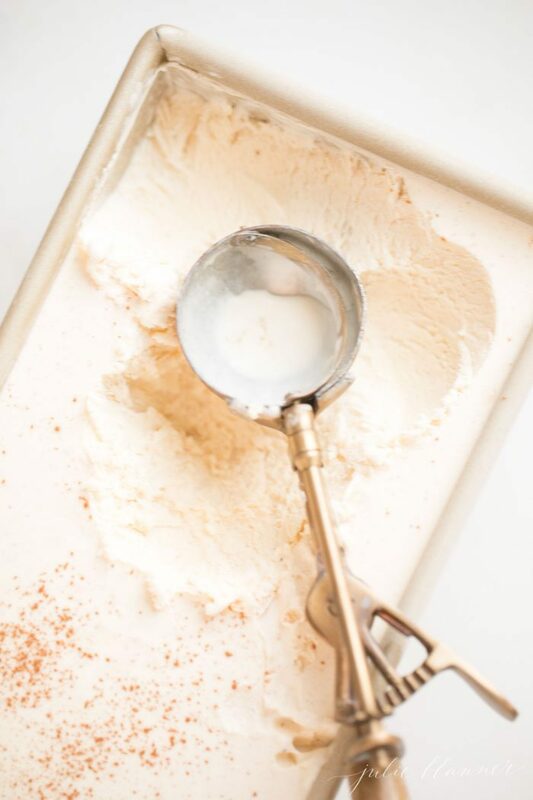 The only thing you won’t like about this Egg Nog Ice Cream Recipe is that you’ll want to sip it right there and then rather than wait a few hours for it to freeze, but I promise you, it’s worth the wait! 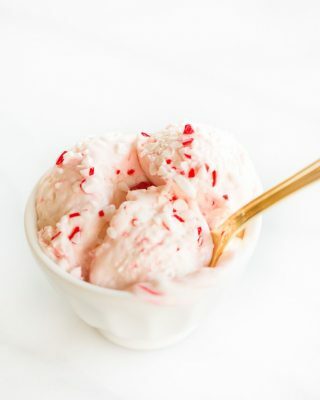 Is There Alcohol is Egg Nog Ice Cream? 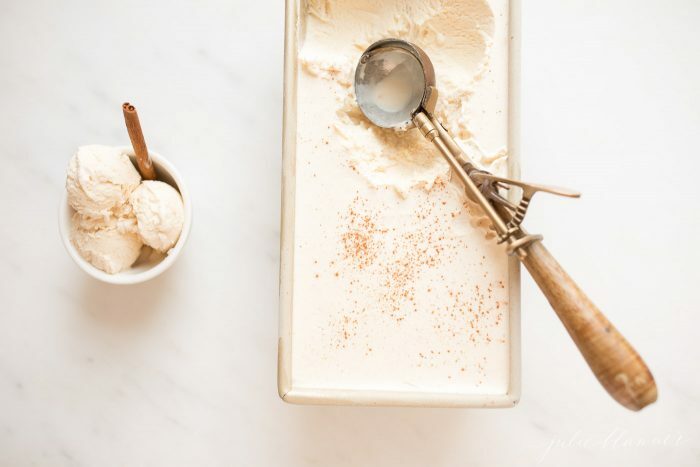 You can make Egg Nog Ice Cream alcohol free or spike it with bourbon, whiskey or rum! 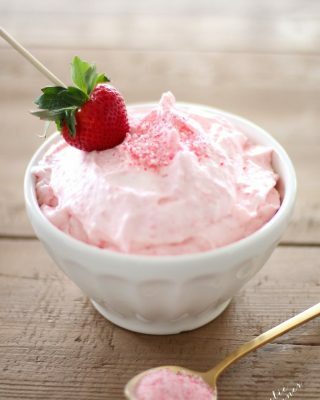 I use bourbon and it adds just a hint of irresistible flavor! Don’t have any alcohol on hand? Don’t fret! Did you know most grocery and liquor stores as well as gas stations have miniature flight sized bottles for about $1? They’re perfect for recipes like this! 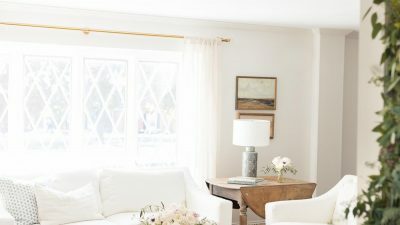 If you don’t see them, just ask. They’re often behind the guest service counter. It’s just the right size for a recipe like this! 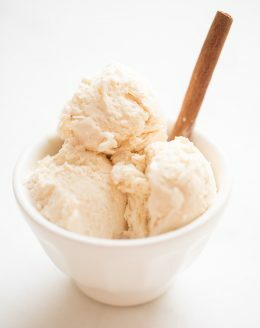 Eggnog Ice Cream is so easy to make. 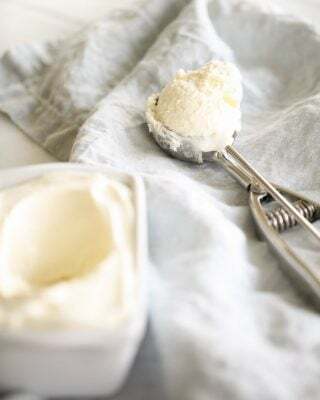 You just beat heavy cream until it becomes thick (I highly recommend not skipping this step for the creamiest Eggnog Ice Cream). By the way – I had to google to see if egg nog was one word or two and while it’s most often used as one, it can be two and is often searched that way. Along the way I learned some fun history about eggnog! Nog means “strong ale”, so it’s only right that I blended in a little bourbon. The wood mugs it (along with other alcohol) was frequently served in were called “noggins”. There’s so much history in the wintery drink and in my opinion it’s even better in ice cream form! 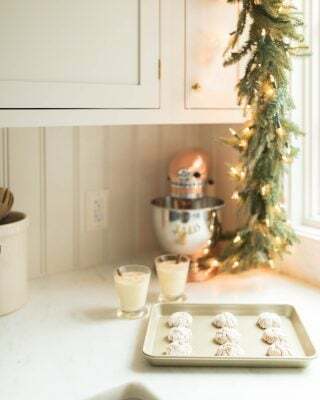 If you love all things eggnog, you’ll also love these (Gooey Butter) Eggnog Cookies! They’re so good! 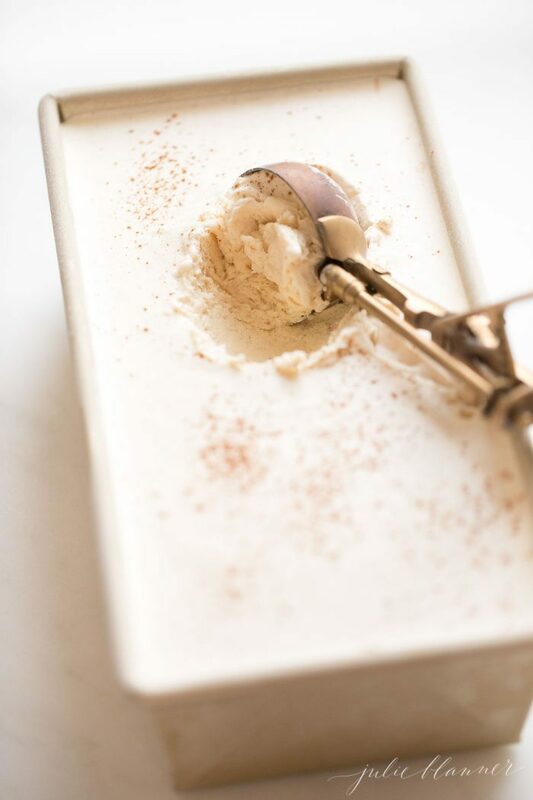 This Christmas surprise your guests with homemade Egg Nog Ice Cream – they’d never know it only took you a few minutes to make! 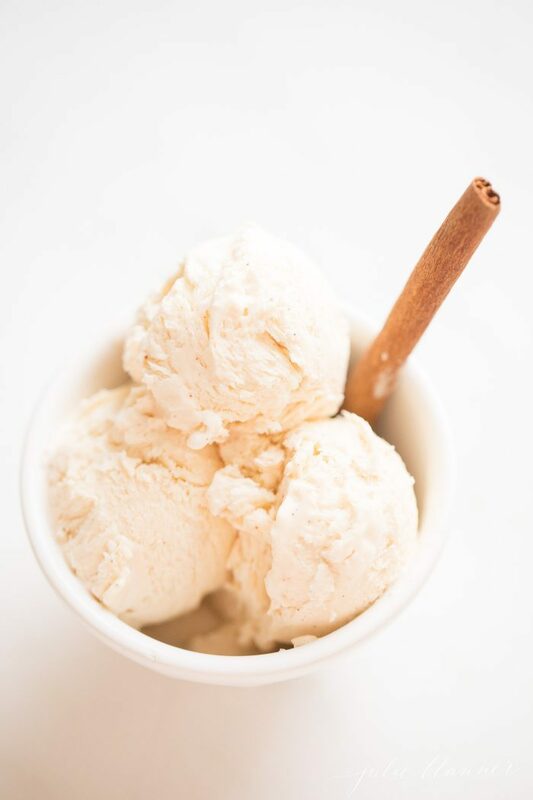 If you love this Eggnog Ice Cream as much as we do, please leave a 5 star review in the comments below! 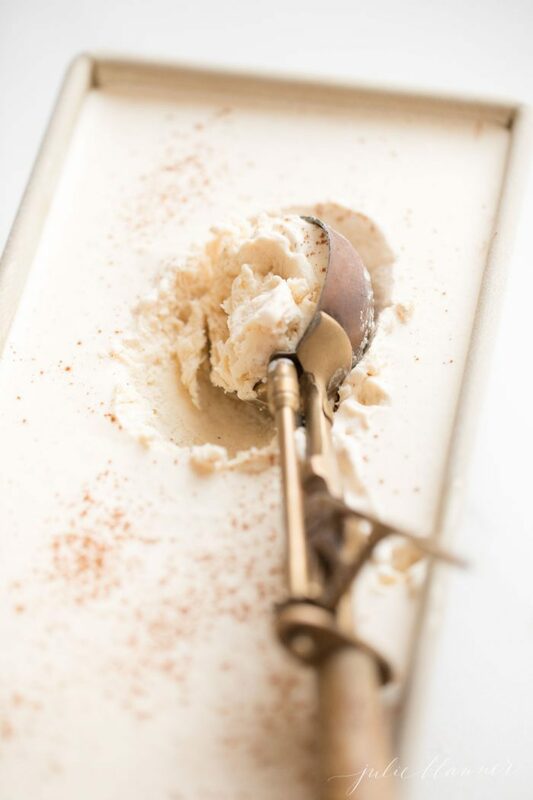 Enjoy the flavors of the season with creamy Egg Nog Ice Cream - a fun and festive Christmas dessert made with just 5 ingredients in 5 minutes! Blend in sweetened condensed milk, eggnog, cinnamon, and nutmeg. Add 1-3 Tbsp boubon (to taste). Pour into a 1 1/2 lb loaf pan or any freezer safe dish and freeze until solid - about 4+ hours. Sprinkle cinnamon or nutmeg on top to garnish. 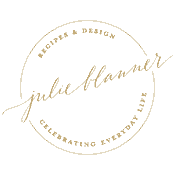 This is the perfect holiday treat. We love eggnog so it’s no surprise this was gobbled right up. 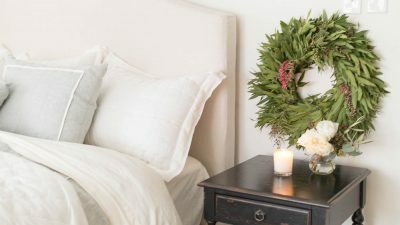 i’m OBSESSED with egg nog and without a doubt am going to make this! 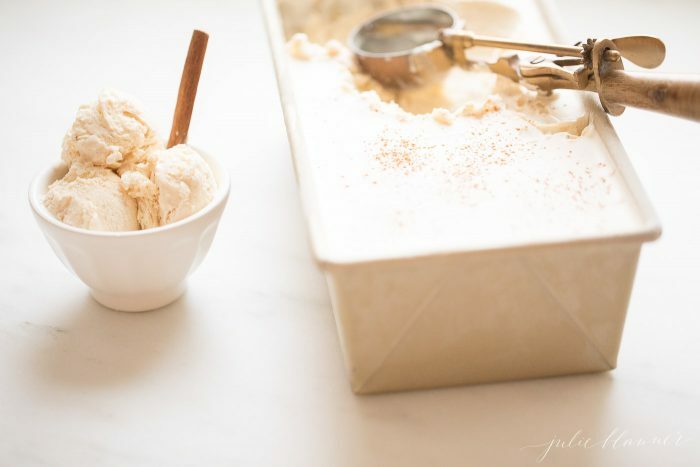 I love eggnog and I can’t wait to make this ice cream! What a great festive treat for the holidays. I bet the flavor from being homemade is fantastic!